Kayo features Australian sports including cricket, Aussie rules, rugby league, rugby union and motorsports and overseas sports such as basketball, gridiron, football, golf and tennis. 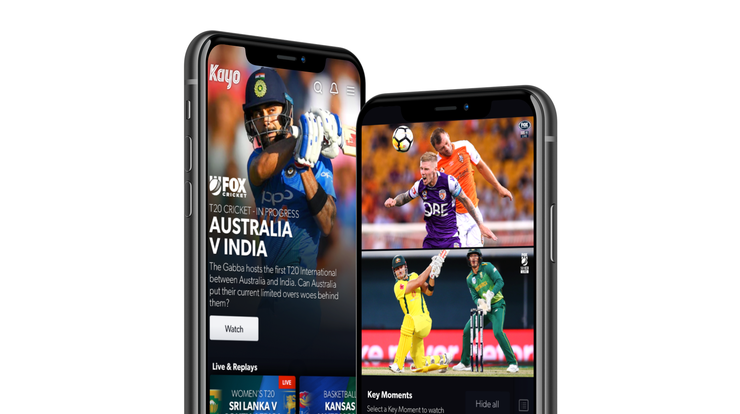 “Kay will provide a new way for Australians to experience sport, with the biggest Aussie sports and the best from overseas, plus game-changing features,” said Julian Ogrin, Kayo Sports CEO. Users can personalise Kayo by selecting the codes and teams they want to follow, with notifications reminding them when games are about to start. For people who just want game highlights, ‘Key Moments’ captures the best bits across selected matches. On selected devices, users can stream up to four different games or events on one screen with ‘SplitView’. Kayo can be streamed on iOS and Android devices, laptop, PC and on TV with Telstra TV, Apple TV and Chromecast Ultra. “Kayo has been made for Aussie sports fans, and we can’t wait for them to jump in and try it for themselves,” added Ogrin. Users can sign up for $25 per month to access two concurrent streams, allowing them to watch games or events at the same time on two different devices. For $35 per month, users can access three concurrent streams. For more information, visit www.kayosports.com.au.